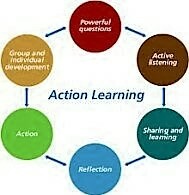 This action learning set facilitator guide is a useful tool kit resource. Full of tips and techniques to enable you to successfully structure and facilitate an engaging action learning set and ensure that the action learning set enables learning to take place on a number of levels in an environment that encourages commitment to outcomes. This action learning set facilitator guide is a useful tool kit resource. Full of tips and techniques to enable you to successfully structure and facilitate an engaging action learning set that generates a supportive environment plenty of collaboration and commitment to action.